This has been a tricky road for me, so let me explain. I am a single parent, 44 years old and my girls and I have been using the bus for work and school for years. Fortunately I have been getting better and better jobs and we are now in a much better place financially, but without that car. In the previous part of the story I explained the difficulty and expense to pass the driver’s license test and then there was the unexpected rent increase announcement of $600 a month! Miraculously, that was rescinded with the remarkable help of my young daughter. On the very same day that the rent was taken care of, I received a tax refund check.I had been in dispute with the agency for years and I was repaid in full, $10,000! I was very focused on the goal of having that new car and apparently it is being manifested in quick time! I was going to need help in getting the best vehicle for my family and me. Months before I had looked into getting some kind of very cheap, used car but the deals always fell through. I got the feeling that I was supposed to go for a much better one, and now that the refund check appeared, I was magically in a position to do just that! Help would be needed from a trusted dealer or person to bring me the right car and to take care of all the necessary paperwork and license plates.These small necessities are very difficult to take care of when you are working full-time and have only the bus for transportation. Oh, and one more thing. I had been visualizing one nice, purse just for me, sitting on the front seat of my new SUV. I quickly found just the vehicle from a good dealership and gave me a very fair price, even going the extra mile to take care of all the registration and license plates without my waiting in line at the government office for them. I got the car and driving out of the dealership with my perfect SUV was an amazing experience. The car is in really good shape and the interior is immaculate, almost identical to the photo here. 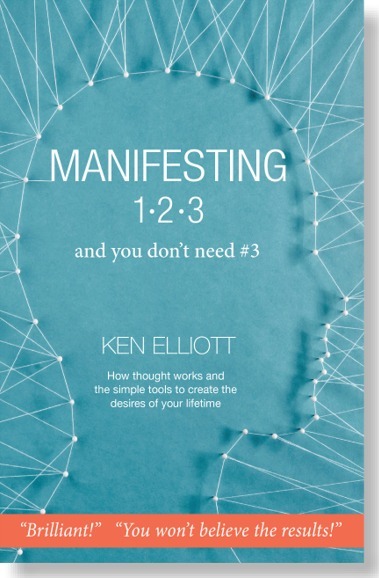 My entire manifesting took 14 days for everything to fall into place! I was incredible to see a big money problem disappear on the same day that a big check arrived. That is hard to believe but it is what I was working toward, not knowing how the financials would be solved. Oh yes, I also have a bit of budget to buy that attractive purse for the front seat. As the book says, we create all the time and having a focus makes miracles happen!